"The United State Army build-up in Thailand can be traced to the establishment of the U. S. Military Assistance Command, Thailand on 15 May 1962. Early that year a combined U.S. task force was deployed to Thailand on a military exercise which included a Marine Battalion Landing Team (BLT), the 1st Battle Group. 27th Infantry* [25th Infantry Division] and supporting elements under a detachment of the 9th Logistical Command. They were joined by a army aviation company composed of Caribou aircraft on 10 July 1962. In late August the 1st Battle Group, 35th Infantry* [25th Infantry Division] replaced the 1st Battle Group, 27th Infantry. However, this task force was withdrawn November 1962 after the situation in Laos stabilized. In the meantime, several U.S. Army units had been sent to Thailand on a permanent basis and by November 1966 the U.S. Army Support Command, Thailand, was established." 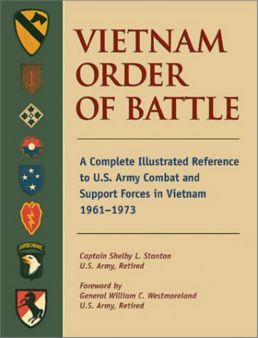 These Army units fulfilled direct or indirect support functions related to the Vietnam conflict to the extent that most received Vietnam service credit in recognition of their supporting role. "In October 1966 Company D, 1st Special Forces Group [Airborne], 1st Special Forces, which was organized 15 April 1966 at Fort Bragg, arrived in Thailand. The 46th Special Forces Company, 1st Special Forces was activated 15 April 1967 in Thailand using assets of Company D, 1st Special Forces Group. In 1968 the 46th Special Forces Company was headquartered at Camp Pawai near Lopburi and had three subordinate B-Detachments at Sakon Nakhon, at Camp Nong Takoo (Pak Chong) and at Ban Kachon. On March 31 1972 its assets were used to form HHD, 3rd Battalion, 1st Special Forces Group [Airborne], 1st Special Forces. However for security reasons it was known locally simply as U.S. Army Special Forces, Thailand." Other A-Detachments were located for various periods during the war at: Camp Carrow (Trang), Chonburi, Kokethiem, Saraburi, Ratburi, Fort Narai (Lopburi), Kanchanaburi, Hua Hin, Bangkok, Udorn, Ubon, Nakhon Phanom, Mai Rem, Songkhia, Pranburi, Phitsanulok, Nam Phong. Chieng Kham, Ban Nong Saeng, Ban Haui Khu, Chiang Mai, Lamphun, Nan, Ban Haui Sai Tai, Muang Loi and Samae San. ****I've gotten a number of responses from the information contained in Appendix B (above). This is a published book available (although hard to find) in bookstores. If your unit is NOT listed there, don't worry, YOU WERE STILL IN THAILAND, OK? I can't change the info in the book, so I'm working on this unit listing to show the units stationed in Thailand. (Some units maintained detachment elements at remote locations and not all of those locations are shown yet, so be patient). Feel free to send an email to Webmaster with Addition or Correction to Unit Listings in the subject line.